I had a pen pal from New Zealand when I was in the seventh grade, but I don’t really remember a thing about him. I figured I must have just treated the whole thing like another assignment for school. It’s funny how, looking back on that, I ended up going on to build so many relationships like that anyway – something I would’ve probably completely ignored before. Now, having friends that I’ve kept in contact with from all over (the U.K., Singapore, Australia, and yes, even New Zealand), it’s quite different. And it grew different quite fast. I started writing notes to my friends in high school, even if we saw each other regularly. We wrote to each other when we didn’t have any work in class to do, or when we were bored. That was when I also started writing letters to these other friends across the sea. It’s even stranger now, how we’re always hooked up and stuck in the clouds, how the internet has become so entirely ubiquitous – we are always attached, but only just hovering. Only just glancing and skimming through. When you pull out of the stream for a while, you really do look forward to having a message on paper in your hands. You look forward to an earnest conversation. You sit down, gather your thoughts, write them down, and send them out. And you wait. You wait for a while too, and it seems like a century in comparison to all the comments, messages, tweets, and reblogs happening all at once. It seems almost nostalgic, the letter-writing, even though it wasn’t long ago and despite the fact that I still do it. I still keep pen pals anyway (I’m writing to my friend Thea right now, from Wisconsin) even though it really could be instantaneous now – you really could just send an email. But I think there is something to be said about taking that time and waiting. Waiting a week or two in anticipation for a response, and having a quiet, intimate conversation develop in between the spaces. Especially now, in 2012, when you can feel so entirely detached and alone, despite all the fast-speed connections going on around you. It’s hard to really listen to anyone with all the noise. There is something so intimate about handwriting, don't you think? It differs from one person to the next and no two q's or s's look the same. Ah well, the whole letter writing business is all very romantic to us moderns, I think. I wonder sometimes if it will fade out completely in the future. After all, people barely exchange emails these days. Communication is in such a strange place – cramped between too much information, but not the sort of deep, intimate information that is important. At this point, I've had internet friendships that have lasted a long time as well (really amazed by that, actually), and you're right, Angela – it's almost as if we've reached the point where even email is antiquated. It's dizzying how quickly communication has changed and continues to change and how we've had to teach ourselves to keep up with that speed. It's almost like we've reached a time where we nearly have telepathy, or maybe just expect it. 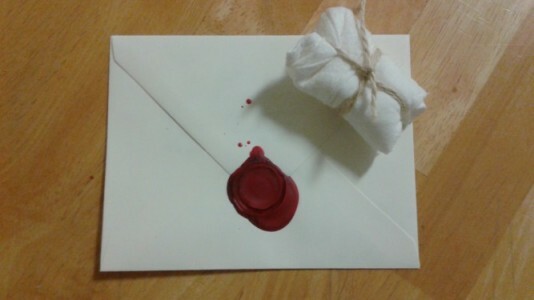 I still love the act of letter writing and I'll probably always write letters in some form. I'd definitely like to start that with more people too (which is an invitation, of course! ).